American Honda Motor Co. saw its total sales rise 1.3% last month, in large part thanks to continued successes for Acura. 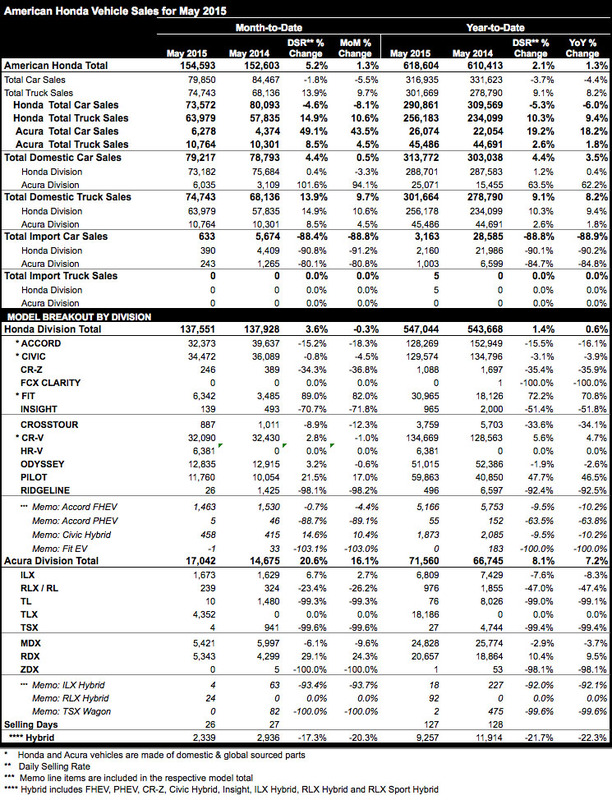 As in April, sales for the automaker’s Honda Division were down in May (by 0.3%), while the Acura Division was posting gains. 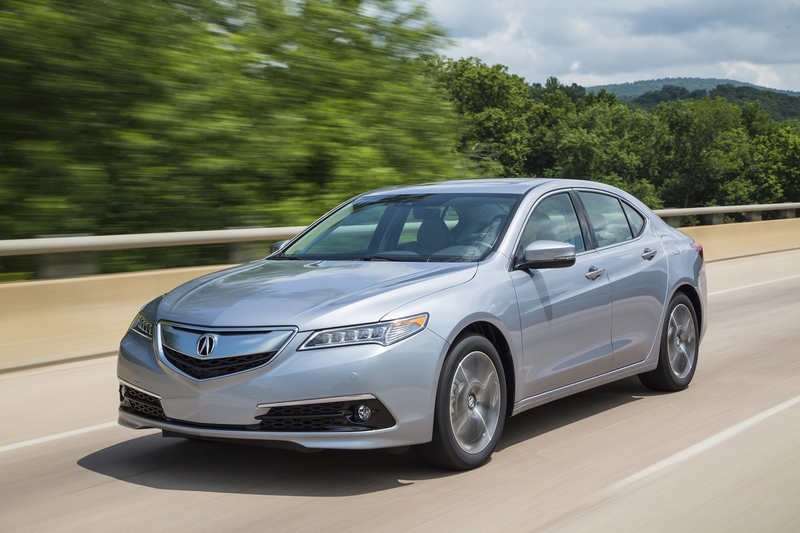 Acura May 2015 sales totaled 17,042 vehicles, for a substantial year-over-year increase of 16.1%. Those figures were largely driven by the brand’s luxury sedans, which enjoyed a remarkable 43.5% sales increase, and a second straight 4,000+ unit month. Every current Acura model was up from the previous month, but the new TLX luxury sport sedan and upgraded ILX gateway luxury sedan were the real stars of the show, with a total of 4,352 TLXs and 1,673 ILXs sold. A “long, hot summer of Acura sales,” eh? Wait a minute, that’s the same thing that Honda Division senior VP Jeff Conrad said about Honda sales! Sounds like Honda Motor Co.’s in-house ghostwriter is getting lazy.